Soul X Maka. . Wallpaper and background images in the Soul Eater (Пожиратель душ) club. 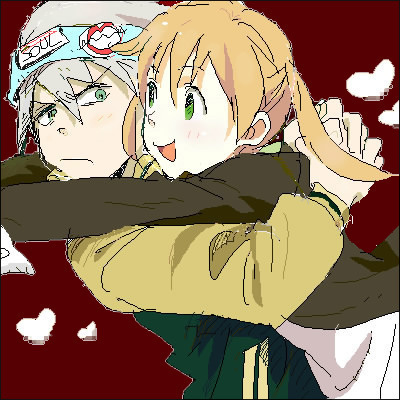 HA HA HES NOT HAPPY WITH MAKA CUZ HE LOVESSSSSSSSSSSSS MEEEEEEEE!! soul usually has red eyes. Souls a humon not a demon oh no full moon.